Today is 9th of October. 18 years ago today, the Kurdish leader Abdullah Öcalan left Syria and after few months of moving among European countries, he was eventually kidnapped by Turkish allies in Kenya and transferred to Ankara. Turkey, along with several other capitalist countries targeted the Kurdish leader with the aim of extinguishing the hope for Kurds forever, but their goal never succeeded and as of now Öcalan is leading a movement from Imrali prison, a movement that rocked the nations across the world by its results in Rojava. A movement of hope for the oppressed and for the liberals. From the very beginning, the Kurdish liberal movement desired to resolve the Kurdish issue through diplomatic means. However, the Turkish government with help of regional countries along with world powers that consider themselves as Police of the world, not only failed to respond to Kurdish peaceful pleads, but also constantly attempted to plot to remove Kurds from the main picture. While the Kurdish movement announced its third ceasefire on 9th of October 1998, Turkey was deploying army across Syrian borders to attack, with the excuse of Öcalan’s presence in Syria. Turkey threatened Syria that if they did not deport Öcalan, they would attack the country. Syria also deployed their army across Syrian borders. The Kurdish leader Abdullah Öcalan was long aware of the plot and to prevent a bloody war among nations of the region, he decided to leave Syria. His first destination was Greece. With Öcalan’s arrival to Italy’s capital, tens of thousands of Kurds across Europe rushed to Rome to welcome him. Italy’s government backed down and decided to not accept Öcalan’s refuge after pressures from Right Wing parties, United States, and economic sanctions from Turkey. 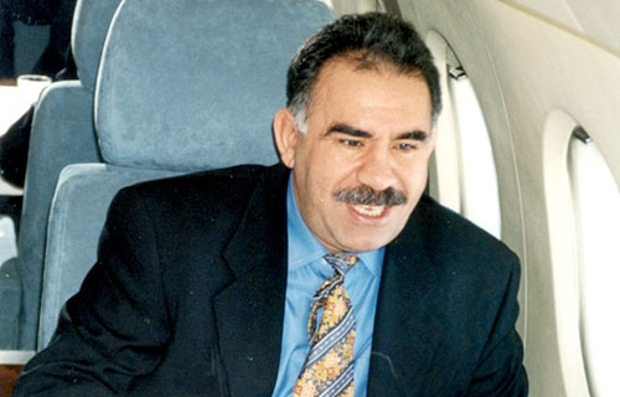 Abdullah Öcalan eventually left Italy on 16th of January 1999 and since then he was on a constant move between Russia, Greece, White Russia, and finally Kenya until 15th of February 1999, known by Kurds as ‘The Dark day’, when Öcalan was captured by a team of multinational intelligence agencies including CIA, Mossad, MIT (Turkish National Intelligence Organization) in Kenya and was transferred to Turkey. The goal of this underplot was to subjugate the Kurdish freedom movement and start the flame of war among regional nations. Despite the expectations, during Imrali court sessions Abdullah Öcalan insisted on the same peaceful requests that he has made since 1993 ceasefires, in order to prevent a Kurdish-Turkish regional war. Öcalan submitted defense to both Imrali court and Human Rights court of Europe, requesting the recognition of Kurdish identity, language, and culture through peaceful means. From 2011 lawyers were not given the permission to meet Öcalan. On September 2016 Öcalan’s brother had the chance to meet the Kurdish leader only for few minutes. It has been 18 years since the intergovernmental conspiracy was plotted against the Kurdish leader Öcalan and ever since then, Öcalan is continually attempting to resolve the decade long war from Imrali prison. Öcalan’s freedom is the only solution to end war in Turkey and bring peace to Kurdistan. Undoubtedly peace in Kurdistan will lead to peace in the region and many other Middle Eastern countries. In order to solve the Middle East crisis, Kurds and as well as other regional nations have presented Öcalan’s democratic solution, which we can see has given results in Rojava, and allowed Rojava to become a symbol for global resistance in the past few years. Today not only Kurds, but all whom have had a deep inspect on Rojava and thorough knowledge about its movements, have understood that Rojava victory has become a part of their own freedom and a freedom for their society. Rojava, as a part of Abdullah Öcalan’s democratic movement, is to build a warless world and also a free and democratic society. Such personality should not be imprisoned, and we must have him as a part of the society, so that he may put his project into action. Today once again we condemn all forces taken part in the intergovernmental conspiracy of 9th of October. We are demanding freedom for the Kurds’ freedom leader Abdullah Öcalan, and demand a peaceful solution for the Kurdish issue in the Middle East.